She has then used great intelligence and an exceptionally diverse and high level of education, combined with a relentlessly adventurous and inquisitive spirit to produce a blueprint that integrates clinical, spiritual, psychological and social opportunities together in a way that can make any of us feel that we can thrive, too. It is a rewarding book to read, and valuable to use in real life. In my experience she has a remarkable talent for gently getting to the root of clients’ issues and facilitating important shifts. She is an engaging presenter that makes graspable the challenging concepts of energy of the body. Board-certified plastic surgeon and microsurgeon, specializing in breast reconstruction, and President of PRMA Plastic Surgery. It is like a friend who goes with you to appointments, says the perfect thing at the perfect time, holds a vision of your healing and helps you negotiate the (overwhelming) medical terms and personal decisions. 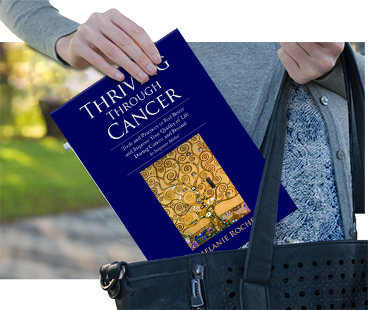 Thriving Through Cancer is sure to become indispensable to patients, doctors and family members as a source of guidance and inspiration. 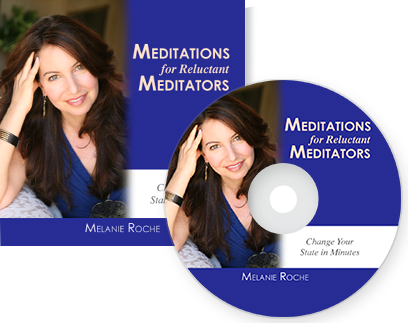 When I want to reconnect to my sense of vision for my company and my life, I work with Melanie. I have read your book and loved it. I think that it is very important work and provides a perspective that is missing from the healing community and from the medical community. You present a truly integrative approach that I don’t think I have ever seen in any other work. I enjoyed the way it was written and how your shared your personal journey with bravery and honesty. I especially liked the chapter on discernment. I have to say that there were several times when you expressed things that I have felt or known. I used to say that you can’t fix a broken leg with guided imagery alone, but the guided imagery could help it heal faster. I have already talked to several people about your book. 7 weeks ago, if you would have asked me what I thought about “Energy Healing” I would tell you that it was a way people avoid western medicine and reserved for the crazies. Then I met Melanie Roche. Through my work with Evolving Wisdom, I had the opportunity to help develop the branding and marketing for her new 7 Week online course. She is truly something special, and her work is SO practical and down to earth and digestible that in just ONE meditation, I was able to experience an actual shift in my physical and mental energy. I was also so blown away by her experience as a cancer survivor. She lives the example of how to thrive energetically under INCREDIBLY challenging circumstances and even managed to ride her bike many miles to radiation each time! To get a taste of her work, listen to her free call and then if you are as inspired as I am, join me in learning her work in her 7 week online course. I am so proud of what I was able to contribute to this course and excited to share Melanie’s work with the world! 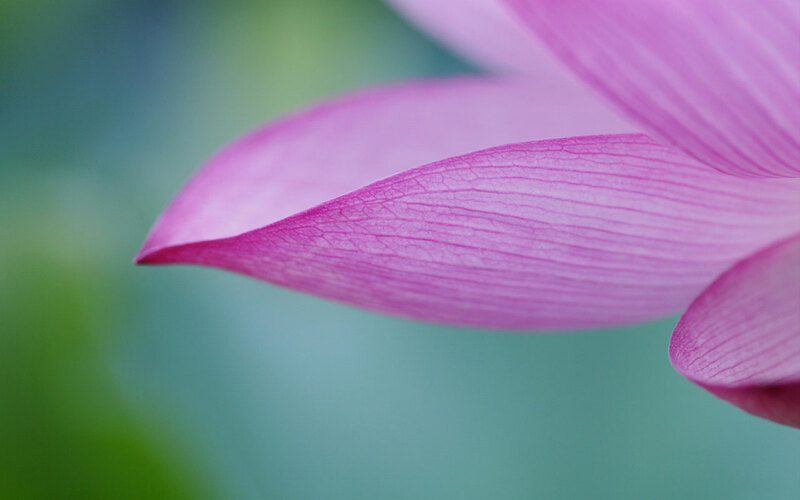 Melanie’s compassionate and authentic teaching style combined with the many simple yet profound steps she outlined in her program are clearly a must for every healer who wants to have an abundance of clients, time and fulfillment. For me, the content of one module alone (at least) quadrupled the value of the actual course cost. And a minor tweak Melanie taught me in how to approach prospective clients worked wonders. For the very first time, I booked a new client through a forum I previously couldn’t instill any interest at all. Her course taught me a system that I can rely on for the future instead of keep chasing bright shiny objects. Not only that, but I already have 6 booked for next week, several of whom are returning clients who have signed up for ongoing packages, and who fit my ideal client profile. And one of the new ones is from the two cheerleaders I’ve acquired, one of whom got immediate relief from over a month of back pain after 1 healing, another who felt immediate relief from PTSD he’s suffered for 3 years since serving in Iraq. This is so cool! So I’m sending massive gratitude to you, and am also so psyched and feel so good about being able to help more people so much! Ever since the second call with you I implemented what you thought and managed to attract six new clients (some of which returned a couple of times already), and another two who are scheduled for the end of the week. I am grateful and I look forward to more success as I implement the rest of your teaching. I listen to a meditation before bed at night and before I get up each morning. You sound fabulous, the music is great, and the meditations are wonderful. I cannot wait for the next one to come out! Besides the general benefits of energy healing, Melanie’s work is helping me to create the inner component to what we are all trying to achieve on the outer plane. I have noticed surprising and wonderful shifts in my confidence and openness (dare I say love?) in business settings that I have never experienced before. Melanie is a creative artist as well as a healer and she is very savvy about this world of internet marketing that we seek to master. She knows our challenges from the inside out! So if you want some help opening up those chakras, front and back, I highly recommend Melanie. Although she lives in Miami and I live in Boston, the connection and power of the work is as strong as any that I have experienced.